Rabbi Stuart Federow is the spiritual leader of Shaar Hashalom. He was born and raised in Springfield, Missouri, where the United Hebrew Congregation's building housed two congregations, one Reform, and the other Orthodox. Rabbi Federow's family belonged to the Orthodox "side" but attended the only religious school on the Reform "side." His family also helped to found the Ozarks Temple Youth Group (OzTY), which was affiliated with N.F.T.Y., the national Reform youth group. As a young boy, Rabbi Federow found himself explaining Judaism to his friends and neighbors. By age 11, because of his love of Judaism, he had already chosen his career. Rabbi Federow earned his undergraduate degree in Psychology and Religious Studies from Brown University in Providence, Rhode Island in 1975. After ordination from the Hebrew Union College - Jewish Institute Religion in Cincinnati, Rabbi Federow served for five years as the rabbi in Greenville, Mississippi. While there, he simultaneously served two other congregations within a radius of 75 miles: Rolling Fork and Clarksdale, Mississippi. For one year he also served Monroe, Louisiana, while serving the other three. Before coming to Houston, Rabbi Federow served Beth Knesset Bamidbar, which means "the Synagogue In The Desert," in Lancaster, California, from 1987 to 1989. Rabbi Federow came to Houston in 1989 and served as the Executive Director of the Hillel Foundation of Greater Houston until 1995. Hillel serves the religious and social needs of a very diverse Jewish college student community at campuses throughout the Greater Houston area. When asked what he loves about his job, Rabbi Federow responded, "teaching, to teach adults, but even more the children." Asked what attracted him to CSH, Rabbi Federow describes the unique and diverse mix of congregants, a "technology-savvy" community, grounded in science but attracted to the spirituality of Jewish life. Rabbi Federow used to fly private airplanes, he has taught An Introduction to Judaism at Houston Baptist University, and, when invited, at other local colleges and universities. 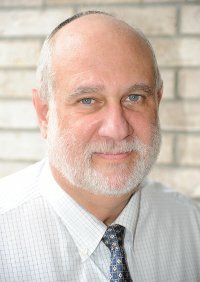 He is one of the many rabbis on one of the many "Ask the Rabbi" Web sites, and he answers questions through his own website, http://WhatJewsBelieve.org. Rabbi Federow is the creator of A Show Of Faith, a live radio talk show with a Baptist minister, a Roman Catholic Priest, sometimes with clergy of other faiths, and himself, discussing events in the news from their religious perspectives. It can be heard via the internet through the radio station's web site at http://AM1070TheAnswer.com. Rabbi Federow is also the author of the book, Judaism and Christianity: A Contrast which is available through Amazon.com, BarnesAndNoble.com, and Play.Google.com as a Hardcover, Paperback, Kindle, Nook, and eBook. Rabbi Stuart Federow received a Doctor of Divinity (D. D.), honoris causa from the Hebrew Union College – Jewish Institute of Religion in Cincinnati, Ohio, on June 3, 2007. This marked the celebration of Rabbi Federow’s 25 years of service and contribution to the community.